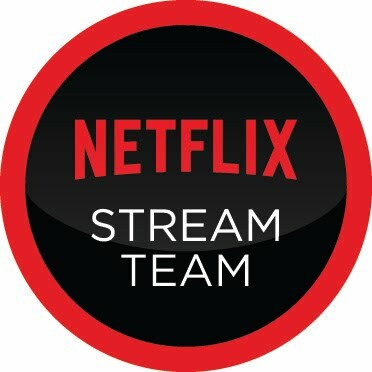 So the first Netflix Stream Team challenge arrived in my email a short time ago, and I've been working on it for the last few weeks, so here it goes. With the New Year comes great intentions of getting fit. The challenge Netflix have set was to try and improve your physical fitness while using shows on Netflix as a timer of sorts. Exercises have been tailored to shows that range from 20-25 minutes, up to an hour. This was going to be especially challenging for me. Exercise isn't really my friend. Don't get me wrong, I can charge up and down the town while pushing Lillibug in her stroller but for health reasons, traditional exercise can sometimes do more harm than good. My bag was a Christmas present from my best friend who obviously knows me very well to get me a handbag that I would love and fit everything into. It is a David Jones brown leather trim with suede brown exterior and silver hardware. I just love it! My fave L.Y.D.C London mint green wallet from my Dad two Christmases ago and still in great condition even with a two year old playing with it on a constant basis. 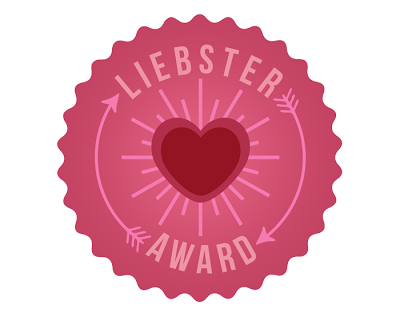 I was recently nominated for the Liebster award by Danielle from adashofdanielle.com so thank you Danielle. I haven't been nominated for one of these in a long time and find them to be great fun and the questions are great. 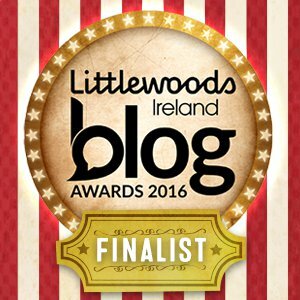 Link the blog that nominated you for the award.Choose 11 bloggers to nominate.Answer 11 questions you have been given.Let the people know you have nominated them.Sadly you can't nominate the person who nominated you.Create 11 questions for the people you nominate.1. 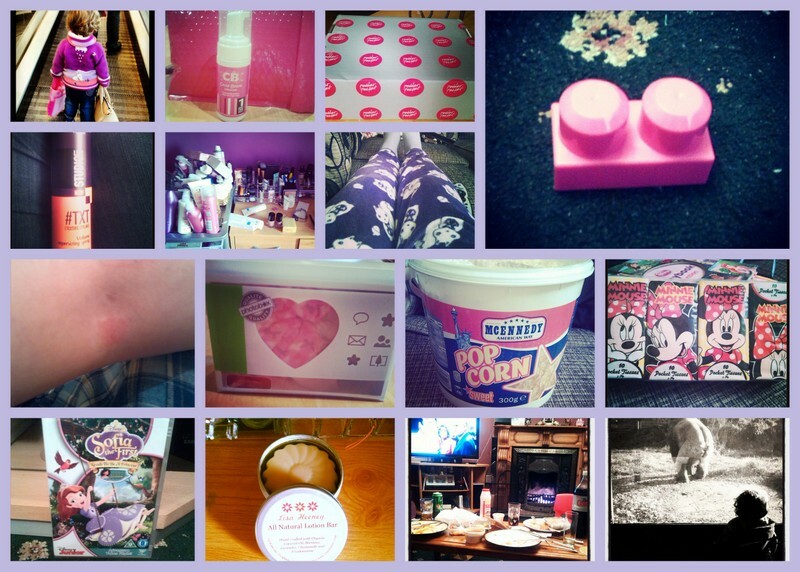 What made you start blogging? Lack of sleep, not working, love of reading other blogs, and hubby kept hounding me to start my own. 2. What's you favourite TV show/Movie? Oh I have so many, where do I start?! Okay I love Grey's Anatomy, Nashville, and the Good Wife. Lisa Heeney All Natural Lotion Bar. I got the opportunity to test out this little beauty which is an All Natural Lotion Bar made lovingly by Lisa Heeney. I loved it so much that I just have to tell you all about it. I have already mentioned it on a few occasions both on Twitter and with pics on Instagram (I just love Instagram now that I have signed up) raving about it. This has the greatest bonus of coming in an aluminium tin (100% recyclable) which keeps your bar fresh and fully sealed. It opens to reveal a beautiful lotion bar in the shape of a flower. When you get this it is also packaged in a cardboard box. I originally saw this tag over on the great blog that is Dolly Dowsie and just knew I had to do this one as well. So here are the answers I have to the questions hope you enjoy. 1. Are you a stay at home mother or a working mother? For now I am a stay at home mammy. I was originally meant to go back to work after maternity leave but financially it worked out better for me to stay at home. Staying at home has been more rewarding than any job and definitely harder work. I wouldn't change staying at home with my little girl for anything now. Someday I know I will go back to work but when the time is right. No! I was so nervous about cot death or rolling over and smothering Lillibug that I couldn't do it. In the first six months I used to have awful nightmares about those thing that I would wake up in an awful panic. 4. What is your one must have item for baby? Hubby got me to join Instagram in January thinking it would be right up my street due to the fact I absolutely love taking photos. He was right I love seeing what everyone is up to and snapping away myself of completely random things and then putting them up for all to see. You can follow me on Instagram by clicking the logo on the right or click here. 1. My little Lillibug helping me with the shopping in our local supermarket. She loves to be the big girl and she especially loves doing the grocery shop. 2. Cocoa Brown Travel Size 1 Hour Tan arrived in it's pretty pink envelope which always makes me giddy. This will always be my favourite tan and now that it comes in Travel size even better. 3. My first PowderPocket Box arrived in January (review coming soon) and I have to say I was definitely really happy with it but more to come soon on that one. I absolutely love the Hask range of shampoos and at €4.50 they are really reasonable and leave my hair in great condition. I will buy these again but I am itching to try a new shampoo that will WOW me. This was a great little bargain at €2.00 but I just used it up for the sake of using it up. The smell was nice with it's white peace and tea rose but the fragrance didn't stay with me and the shower gel done nothing for my skin. So I won't be purchasing this one again.